After an exciting, but very busy, couple of weeks travelling around Delhi, Jaipur, Agra and Varanasi, we next headed south to Kerala for a relaxing seaside break. This was very much the chill-out part of our trip and we spent most of our time swimming and lazing around – a perfect break from the hectic sightseeing! We stayed in a resort along Kovalam Beach, enjoying morning walks in the sand watching the fishermen work away, through to watching the gorgeous sunset over the sea. 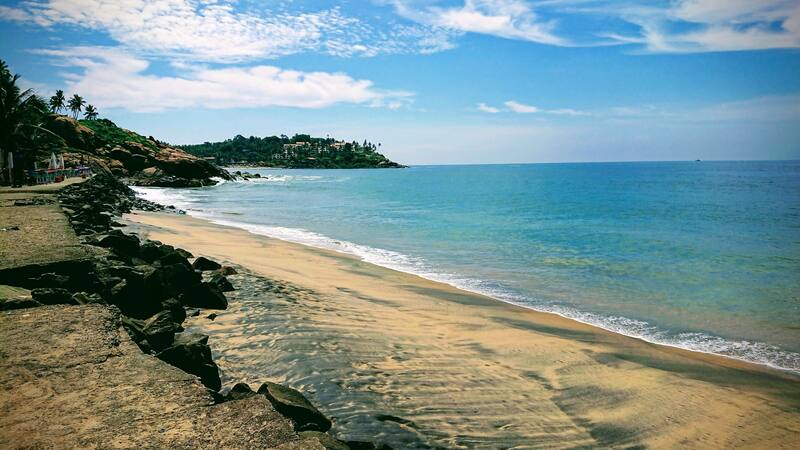 Kovalam is a small town that’s boomed with the tourist industry, but luckily our hotel was just the other side of the main cove so our stretch of beach was fairly quiet. 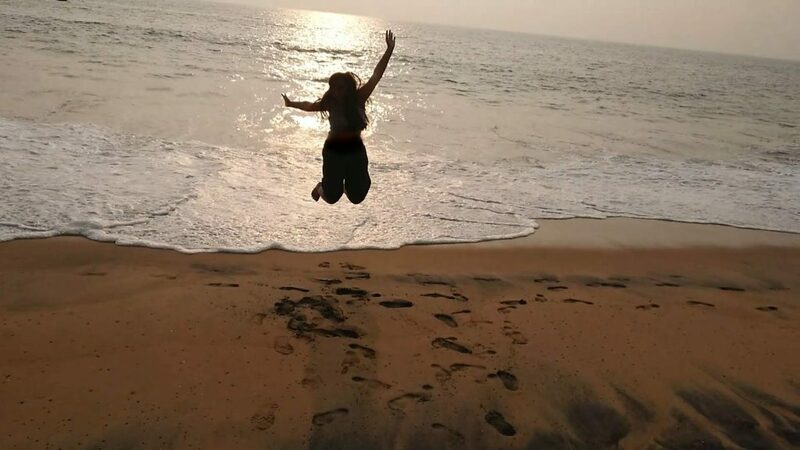 Not too far from Trivandrum (the closest city and airport), it’s conveniently located for a beach holiday. 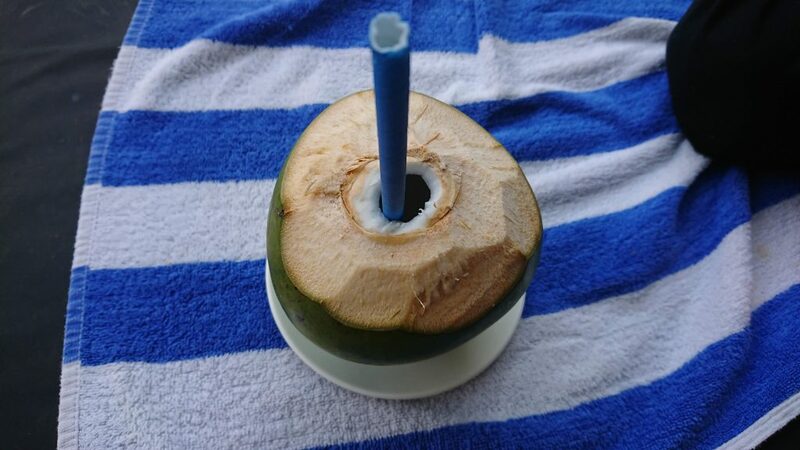 There are water sports on offer along the main seafront, as well as plenty of restaurants and cafes – although most of our time was spent relaxing, drinking coconut water and spoiling ourselves with massages. 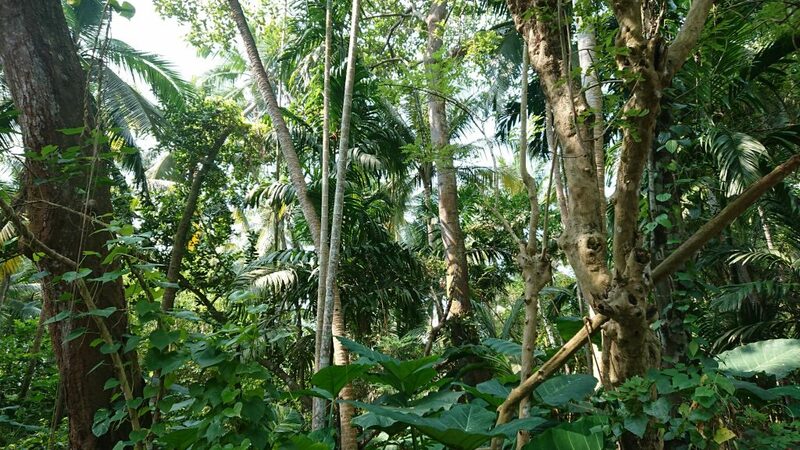 Kerala is well known for it’s Yoga and Ayurveda, so of course we couldn’t come without having a few massages! 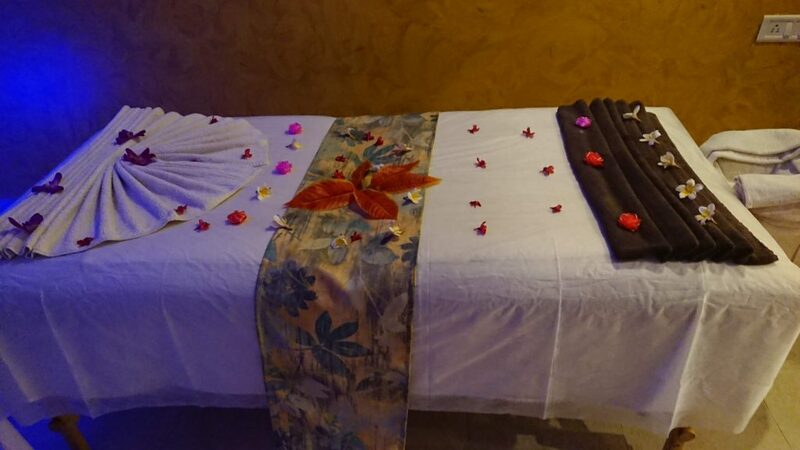 The Ayurveda centre offered a huge selection of Ayurvedic treatments, using pressure points, oils and herbs to create a holistic massage for various ailments. My Nanima’s favourite treatment was one called Shirodhara, where a continuous stream of warm herbal oil is poured on the scalp as part of a head massage treatment. Along with swimming, massages and… ok I’ll admit it, making the most of the extensive hotel buffet, we spent time playing cards and carrom. 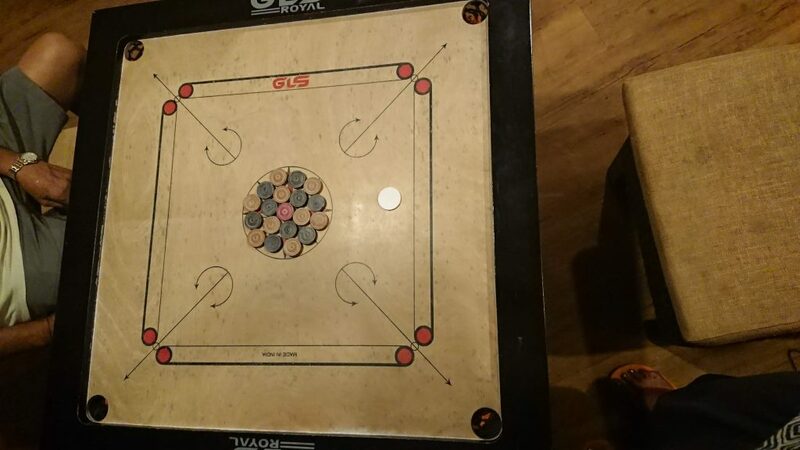 Carrom is a popular Indian game where players flick a striker piece to hit counters into the corner pockets of the board – and unfortunately for me, my Nanabapa is annoyingly good at it. One of my life goals is to beat him one day! We also used to play Do Teen Panch, an Indian card game, and it was so lovely to have some proper quality time with my grandparents, laughing and joking as we played late into the night. All set up to play carrom! My favourite buffet desserts! 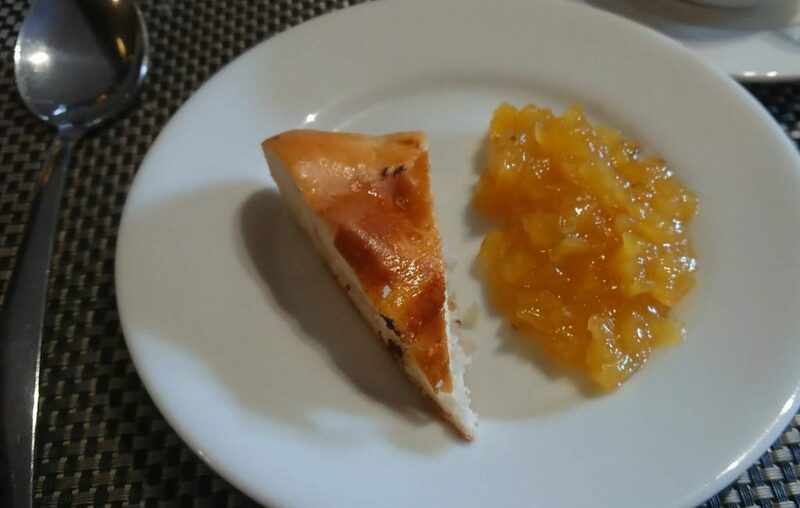 Dilkush (a sweet bread filled with coconut) and Pinapple Halwa… makes my mouth water just remembering them! 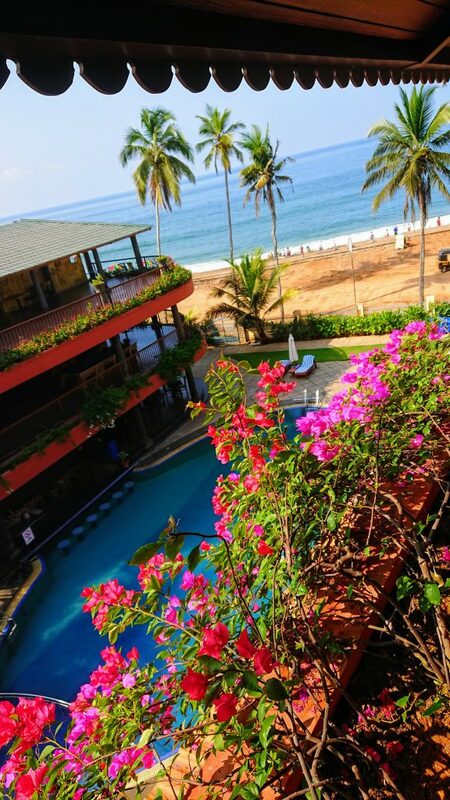 We had a wonderful time in Kovalam and although we didn’t venture too far on our walks or do any proper sightseeing, it was just what we needed. Previous Post Am I Indian?